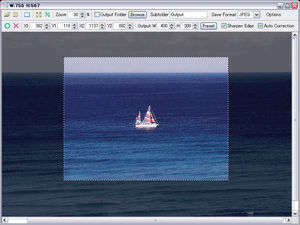 Trimto is a free image editor and modification program which can resize, convert, crop and rename image files. The application includes the option to save files in different formats include JPEG, PNG, GIF and TIF. Resizing pictures and cropping them is pretty easy with this application and saving them to a different output directory is suggested, as to not overwrite the originals. Trimto supports plugins which provide additional functionality to the program. Version 1.5.0.0 is a freeware program which does not have restrictions and it's free so it doesn't cost anything. For security reasons, you should also check out the Trimto download at LO4D.com which includes virus and malware tests. Additional screenshots of this application download may be available, too.